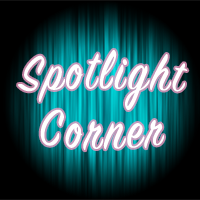 I’d like you to help me welcome Kate from Mommy Monologues as my first guest in my SPOTLIGHT CORNER. You can find Kate at her blog Mommy Monologues ~ where “Domestication Never looked So Good!” Kate is an awesome young wife and mother that is expecting her second bundle of joy in 2012. The thing I love about Kate is she passionate her faith, marriage, motherhood, and family and it shows in each of her blog posts. Without further due … here’s Kate! I started blogging over a year ago, there have been positives & negatives, times when I’ve had to or needed to step back & re-evaluate where I stand on blogging, but the impact it’s had goes without saying. When I first started blogging, it was all I could think about, what topics to write about & how to make my blog better. I started doing a ton of research trying to figure out what in the heck was this “wordpress” platform, what was a button, what groups should I join? But mostly, blogging came into my life when I desperately needed to have something of my very own as I learned who I was as a mother. Looking back, I was struggling in first time motherhood. I loved being a mom, but the transition of being a very driven graduate student, to being a stay-at-home mom was a very big adjustment for me. Blogging helped me to learn about my new self. With blogging, also came a blog design business & that was amazing. Not only did the money really, really help out, it gave me a sense of purpose. I was so accustomed to having my own paycheck & being able to help out with bills before becoming a mom & then that all changed. Blog designing gave me an identity of feeling important again outside of changing diapers & playing trains, that I was able to contribute to my family, & that I was able to have something that was my very own. And that felt amazing. Blogging gave me some financial independence. And last but not least, blogging also has given me some great friends from my blog, to SITS, Theta Mom, Twitter & so much more. My first year of blogging, I exchanged addresses with a friend in Indonesia & she sent me a Christmas card. This year, I have quite a few new addresses to get, that’s for sure! Blogging gave me a community. And now? I’m on a break from blog design & writing for that matter (which was accidental), with my second pregnancy came new priorities. I saw that a huge change was coming for my family & that I needed to spend less time focusing on getting posts written, comments replied to, & advertising done. I saw that I needed to spend more with my family before we have this huge adjustment come in the spring. Blogging has given me a lot, from a sense of identity as a new mom to a great community. The positives have all been well worth it & I wouldn’t change that for anything. I am no longer designing. At this point I am only finishing up projects. If you are looking for a design, please contact Angie at Strosgirl’s Designs or Lynne at Visual Serendipity. Thank you! Kate, you’re one of my first bloggy finds when I started blogging this year. You’re an inspiration, turning blogging into something that gave you purpose and an income, with the blog design business! I’m so happy for you that your family is about to expand, and totally understand your need to step away from the online world. I do hope to see you back soon!